Early in the month, we took the girls to do the Highway Ray trail at Thetford Forest. They loved it! It was quite warm though and none of us are great in the heat so we didn't stay for more than a few hours. That said, it was long enough for them to run around in the park and wear themselves out. I had an appointment with the consultant regarding my stomach and was booked in for an endoscopy at the end of May, on a Saturday, which surprised me. It sounds silly but I never really think of appointments happening on a Saturday. Anyhoo, I had the appointment and wrote about it here. I've been desperate to get outside in the garden and add some colour and now that the weather has perked up I've been making the most of it. Its this time of year when our conservatory is particularly handy as its so warm in there, I set my seeds and line them up in there. Most of them have taken but disappointingly the delphiniums didn't. I have purchased some marigolds from the garden centre and popped those in some planters and they're coming along really well. I love marigolds because they're so bright and cheery, they're easy to look after and grow quickly. Talking of plants growing quickly, I purchased some wisteria last year via Groupon and they didn't seem to be doing too much. How wrong was I, they seem to have gone wild in the last couple of weeks and I can't wait for the flowers to show. We took the girls to see Dinosaur World Live at the theatre and we loved it. I didn't have high expectations - I'm not a dinosaur fan - but I think it was one of the best shows we've seen. If its on in your area, try to see it! We had a birthday party at soft play. They last soft play party we had was a year ago and what a difference - I barely saw E! I wasn't particularly looking forward to it (early start and a bit of a drive!) but it was really quite nice in the end. Mum and my Stepdad were up here camping for the half term week. 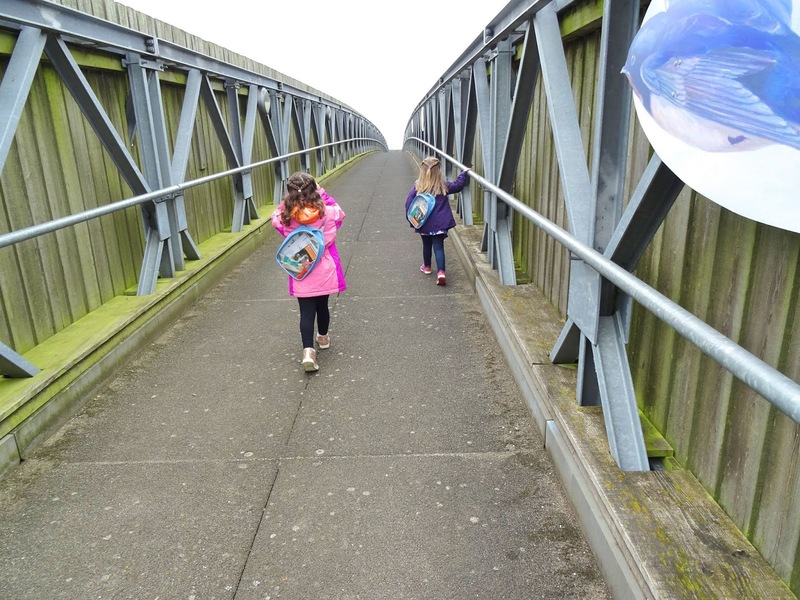 Amongst other things, we went to the local carnival were E was dancing with her dance group, we took a trip to Welney and Mum took the girls to the cinema. We met Buddy. Finally, the day I had been waiting for! He's such a beauty and I really can't wait to bring him home - its not long now! Here's to June (although we're already part way through! ), when we bring Buddy home! Can. Not. Wait.